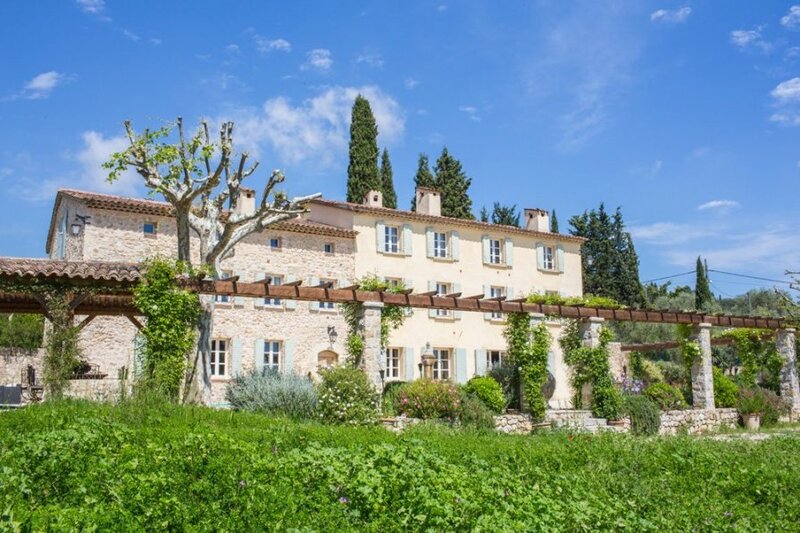 This idyllic 18th century Provencal private Bastide is set among the famed perfumeries of Grasse, but is still just a few kilometres from the beaches and high life of Cannes. This idyllic 18th century Provencal private Bastide is set among the famed perfumeries of Grasse, but is still just a few kilometres from the beaches and high life of Cannes, Antibes and the Cote D'Azur. Make it your own private residence for a holiday, wedding or event. The bastide is surrounded by the olive groves, fruit trees, fountains and lavender scents of the Riviera of Cole Porter and Scott Fitzgerald. The bastide has been newly converted into one of the finest houses in the region and retains its old Provence feel with meter thick walls which keep the summer cool and winter warm. There are huge open stone fireplaces in all main rooms and bedrooms. The bastide has all the facilities and luxuries of a small private hotel, which is not surprising considering that it is a hotel for several months of the year. Please note that mid-week short breaks are available at reduced prices. See our T&Cs tab for details. Beautifully decorated with Provencal, Asian and Italian influences by the designer owner, the C18th Bastide comfortably accommodates 16 adults. Additional accommodation can be organised on request: please contact Oliver's VIP Concierge Team to arrange. Outside, the Bastide is surrounded by wide Sinai stone terracing, leading to the pine beamed cuisine d'ete used for summer dining and many night long parties. Beyond that are the olive groves, lavender enveloped 15x7 meter swimming pool with pergola, gas bbq, boules piste, badminton, table tennis, flower gardens and orchards, often used for wedding ceremonies. 30 mins from Nice Airport; 20 mins to Cannes, Antibes; close to the villages Perches of the Cote d'Azur, St Paul, Vence, Cabris.